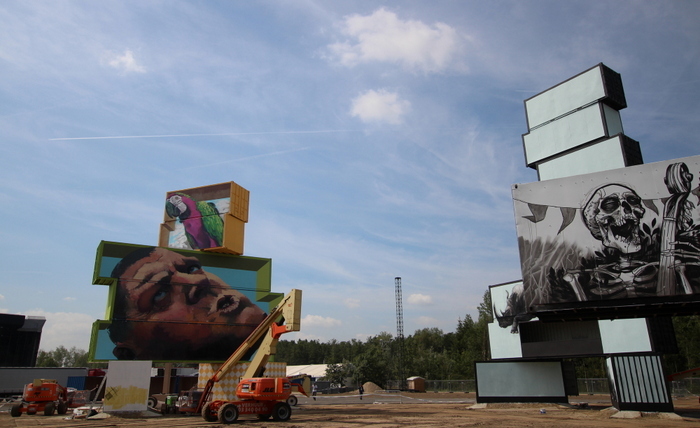 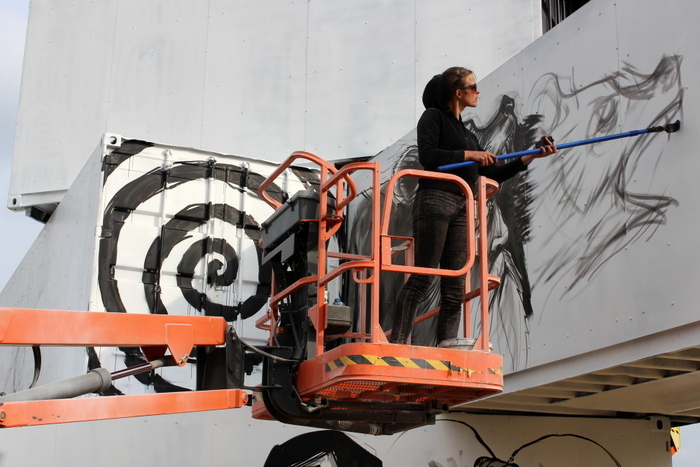 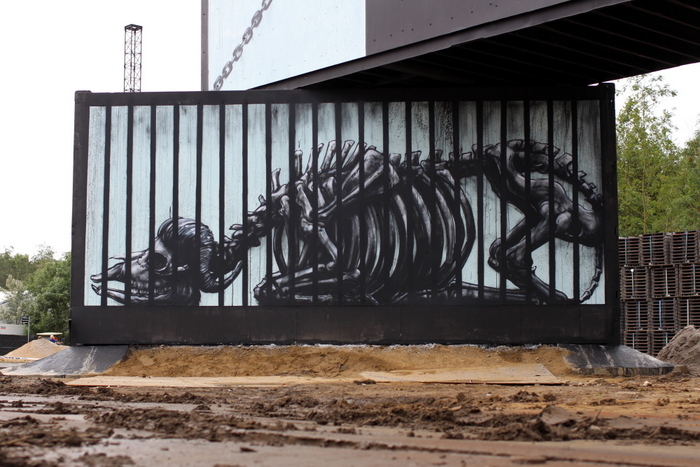 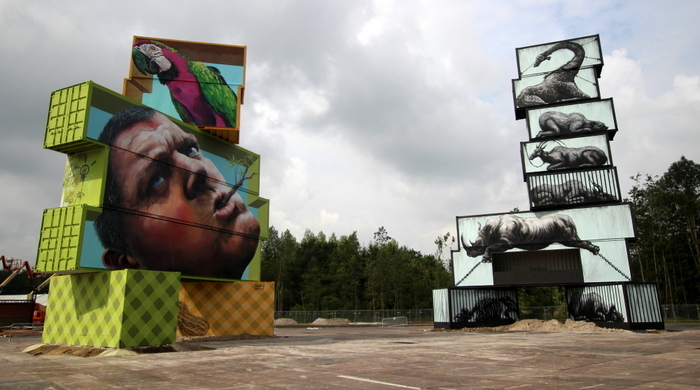 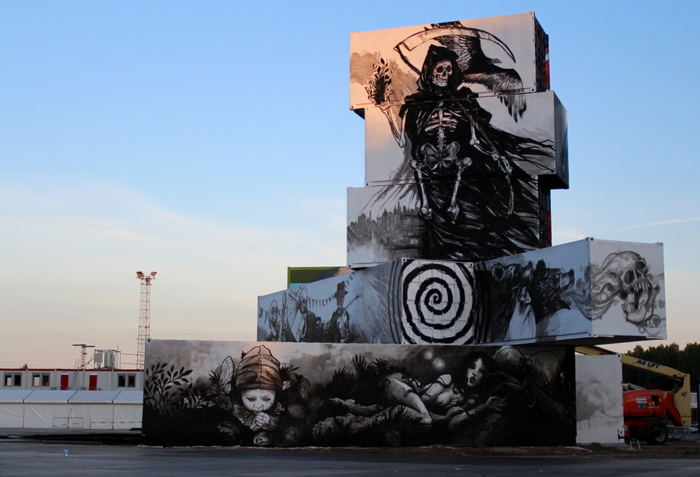 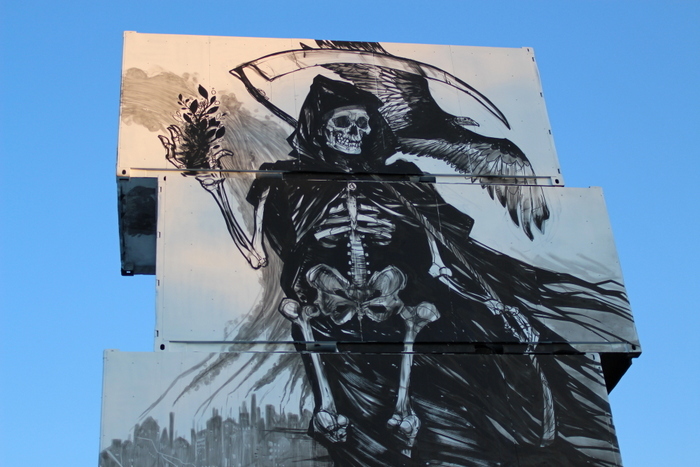 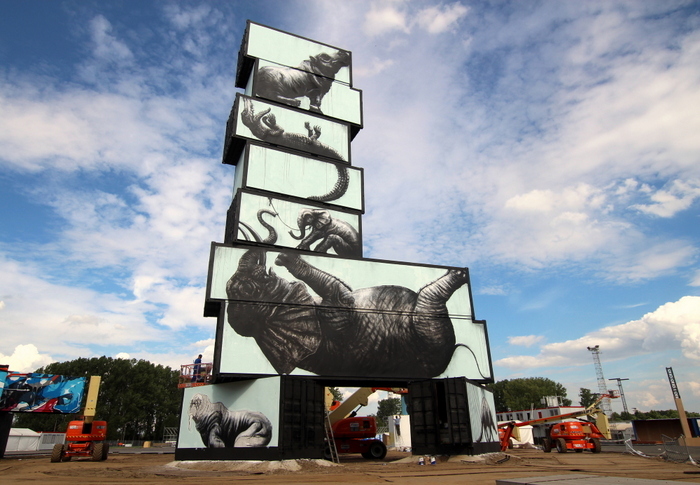 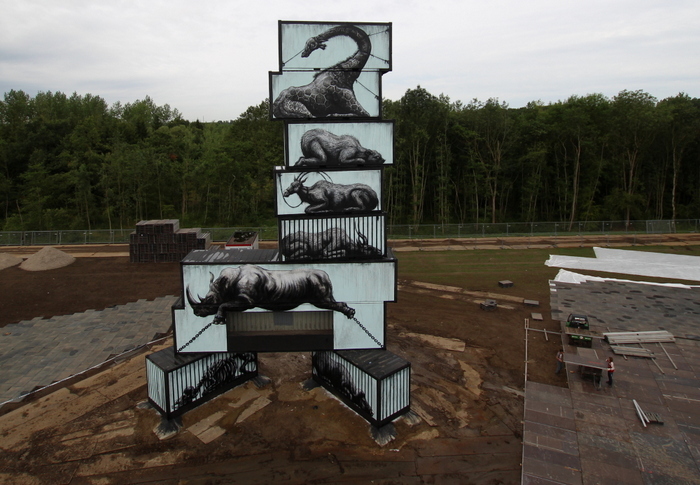 Roa, Defo, Jen Zie, Martin Ron, and Pichi & Avo have finished new designs at the North West Walls project on the site of the Rock Werchter music festival in Belgium. 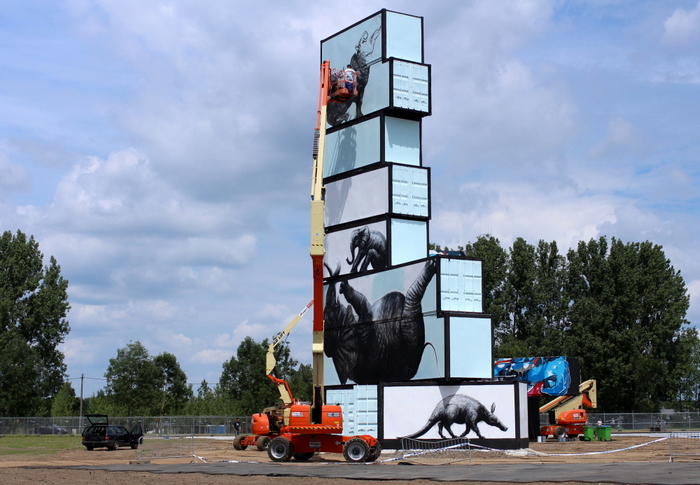 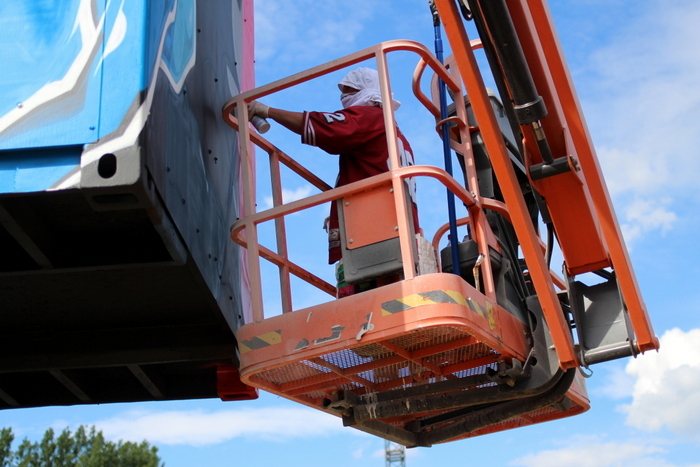 The project has been curated by Belgian artist Arne Quinze setting the artists the challenge of painting three giant container towers. 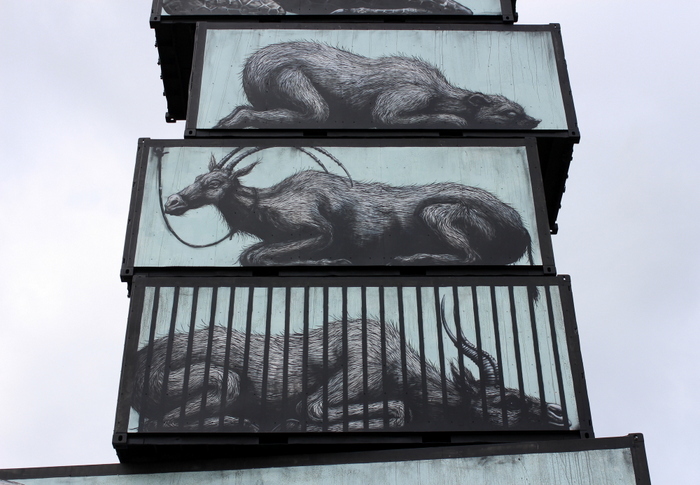 Roa’s intervention includes a total of 13 animals some with chains and others behind bars relating to the theme of captivity. 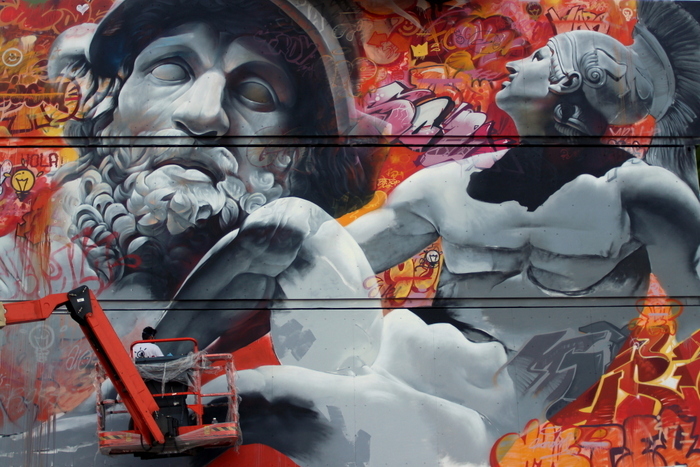 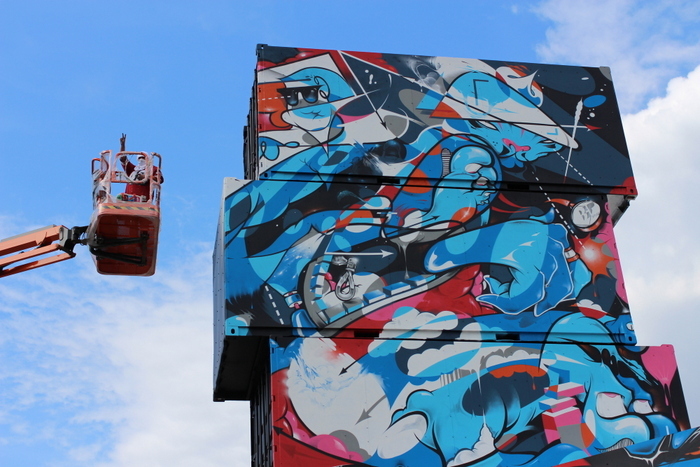 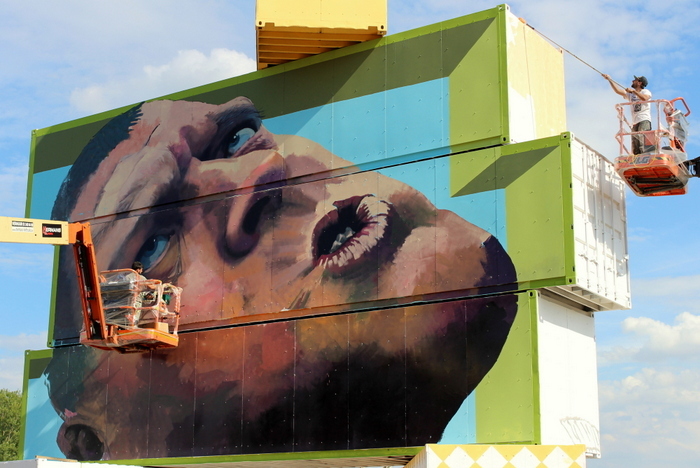 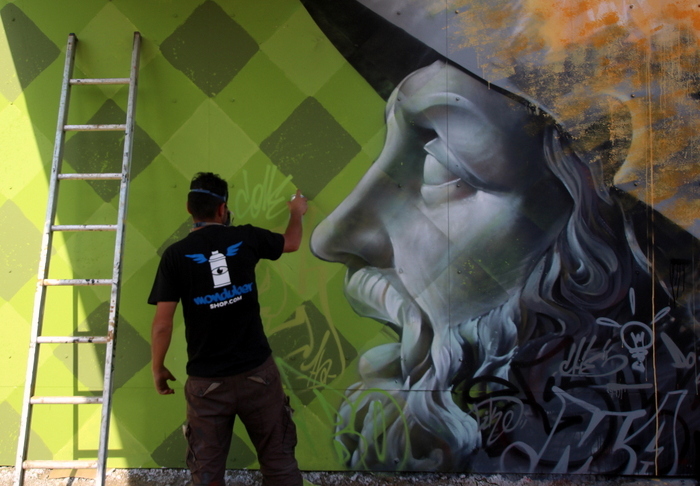 Argentine street artist Martin Ron has painted a giant 3-D portrait of a forklift truck driver nicknamed ‘Blue’ who was working on the festival site. 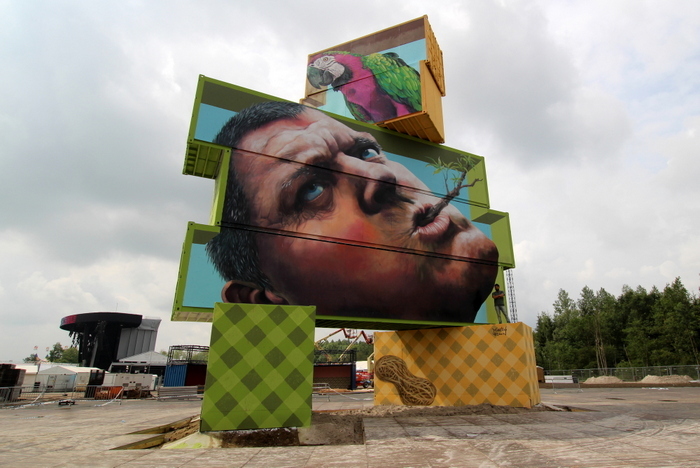 Ron’s surreal design also depicts a huge parrot emerging from one of the containers and a monkey nut. 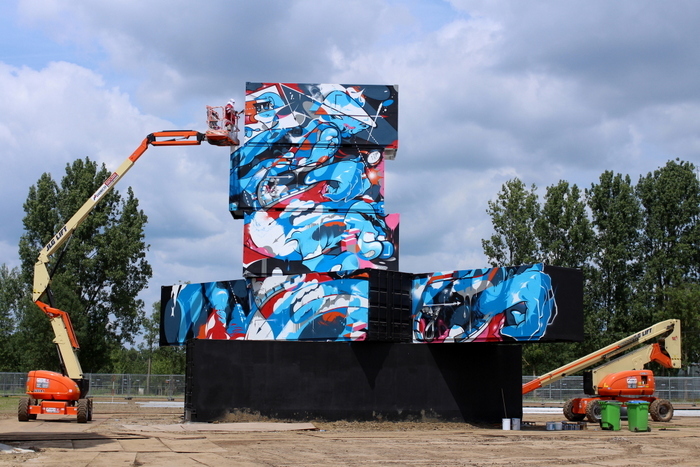 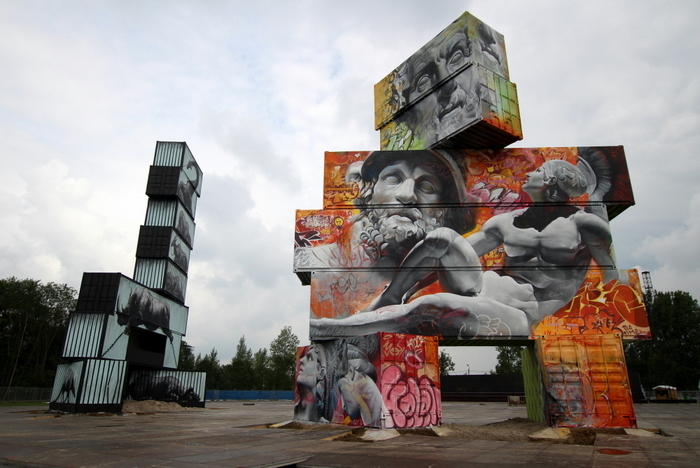 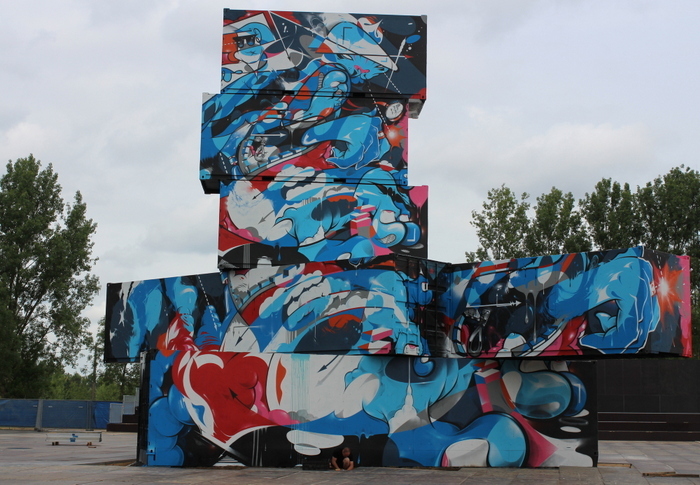 This entry was posted by admin in News, Street Art Cities Page and tagged Belgium graffiti, belgium street art, Defo, Jen Zie, Martin Ron, Martin Ron Belgium, North West Walls, Pich & Avo, Roa, Roa street art Belgium, Rock Werchter, Rock Werchter 2014, Werchter street art.